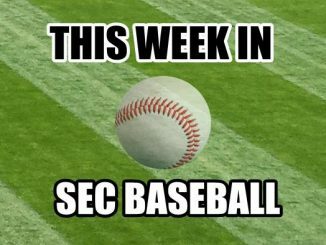 Week one of SEC baseball play was full of surprises. 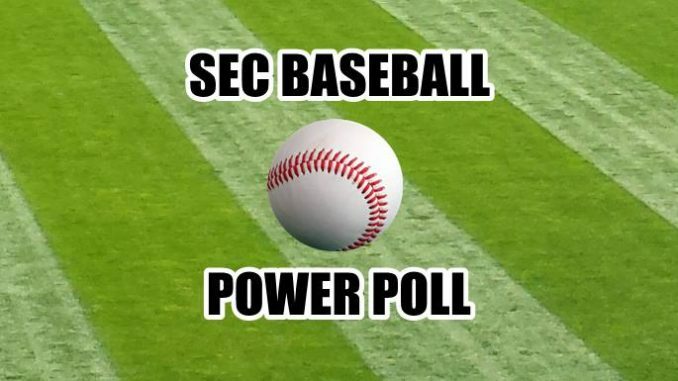 Check out the first SEC Baseball Power Poll of the 2019 season. (3-0) The Bulldogs pull off an impressive sweep at S. Carolina. Will host LSU this weekend. (3-0) Hogs swept three very close games from Mizzou. Series at Alabama is next. (2-1) State gets an eye opening series win at Florida. 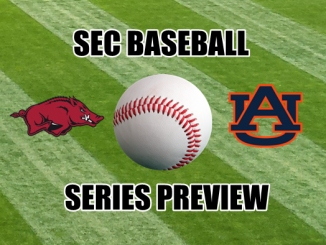 MSU travels to Auburn next in what should be a great series. (3-0) Tigers got a home sweep over Tennessee. Series at MSU is next. (3-0) LSU takes care of business at the Box with seep of UK. A trip to Georgia will be tougher. (1-2) Vandy falls in a very tight game2 to eventually drop their opening series to A&M. Vandy will host another 1-2 team, Florida, next. (1-2) Florida was shocked at home by Auburn. The Gators will head to Nashville for their next 3-game stanza. (2-1) Rebs scored 18 runs in series win over Bama. Rebs will visit Mizzou next. 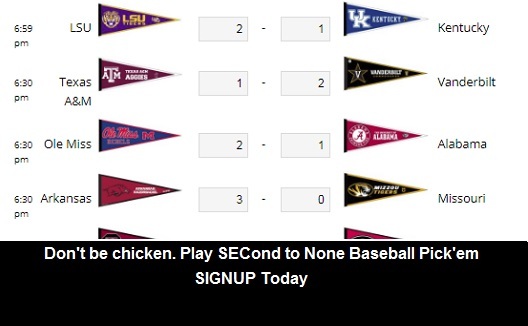 (2-1) A&M pulls of a surprising series win over a highly ranked Vandy team. A&M visits Kentucky next. (1-2) Alabama drops a series at Ole Miss. Will host a tough Arkansas next. 0-3) Tennessee laid an egg against Auburn after a super start. Vols host S. Carolina next. (0-3) Missouri gets swept at Arkansas. Ouch. Beware, Mizzou played really well. 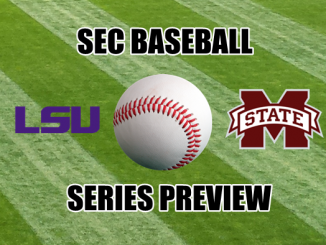 Tigers host Ole Miss next. (0-3) USC stunned after being swept at home by Georgia. Gamecocks visit Tennessee next. (0-3) Kentucky was swept at LSU. Cats host A&M next.